LIFE’S A BEACH, SO, GRAB A CAR MAGAZINE AND HIT IT! LIFE’S A BEACH, SO, GRAB A CAR MAGAZINE AND HIT IT! by Jim Corbran, Automotive Columnist I always wonder how many people who take a book to the beach actually read it. I also wonder how many people take a certain book just to impress anybody who might be looking. Me? I don’t care who knows what I’m reading. And because I love my books I can’t imagine taking any of them to the beach — a dark yet sunny world inhabited by sand-kicking bullies, water, and the dreaded seagull. I also love my car magazines, but they’re much more dispensable. Therefore, they’d be my first pick as a beach read (if I was a beach-reader, which I’m not). Year ago I subscribed to more car magazines than I could read in a month. Now in my dotage, I’ve whittled it down to a more manageable handful of titles. For my new car news, I’ve been a subscriber to Automobile magazine for longer than I can remember. If you look, most of the magazines which focus on newer models all seem to feature the same stuff. So it comes down to a matter of the writing. I gave up on some of them when they seemed to be in a smarm contest. I know I’m getting older, which widens the age gap between me and many young writers, but, c’mon guys, have a little respect for your readers! Car and Driver, a magazine I adored for decades, is (to me) the worst offender. Automobile magazine seems to be on a higher level (although, I’m not real keen on its growing trend of too many supercars, which still don’t interest me much). My other reading choices will indicate my real interests these days, including Collectible Automobile (a beautiful, full-color ad-free bi-monthly about mainstream older cars & trucks); Hemmings Classic Car and Hemmings Sports & Exotic Car — both of which focus on the older American and imported stuff respectively with more driving impressions and step-by-step restoration articles than CA; and Vintage Truck, with a focus on old, stock pickups and light commercial vehicles. There’s also a handful on non-automotive magazines I read regularly, as I single-handedly try to keep the printed periodical business afloat, but that’s another story for another time! Check out some of the car mags online below — then get to the newsstand and pick up a few! 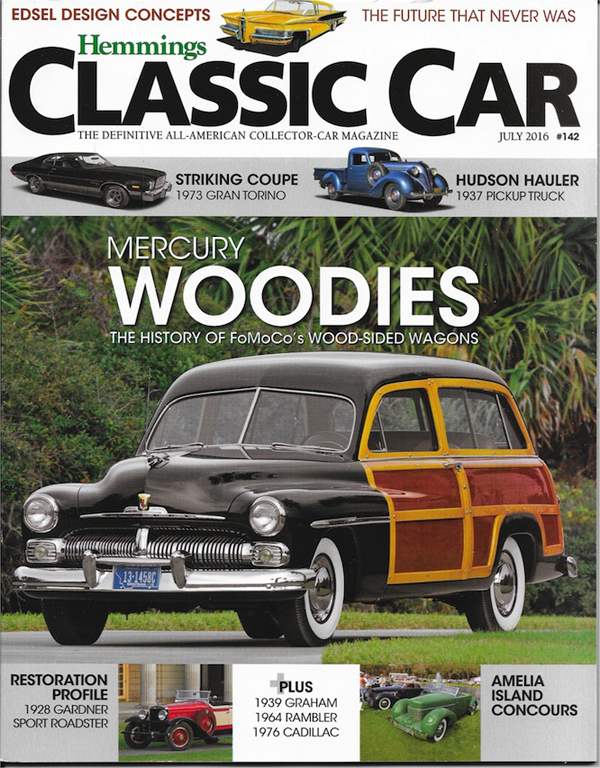 Tell them we sent cha… Collectible Automobile Automobile Magazine Hemmings Classic Car Vintage Truck ### The post LIFE’S A BEACH, SO, GRAB A CAR MAGAZINE AND HIT IT! appeared first on Buffalo Cars.